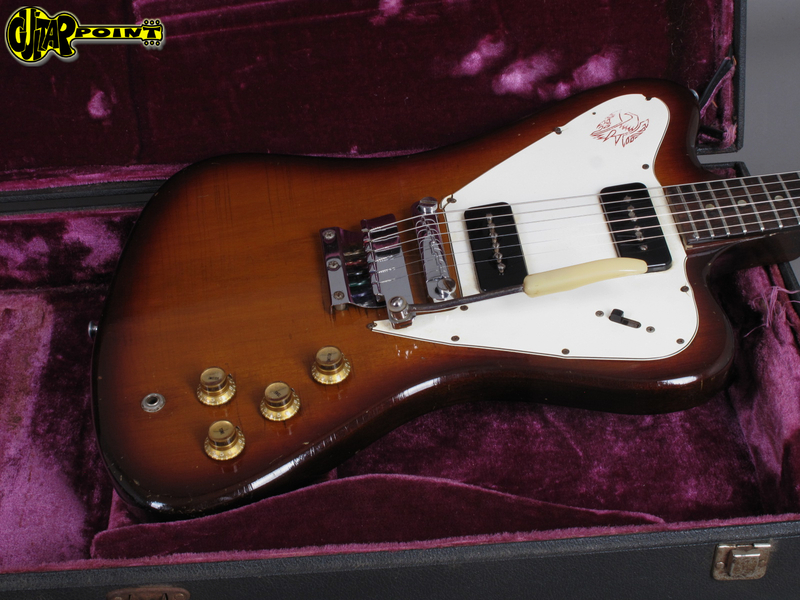 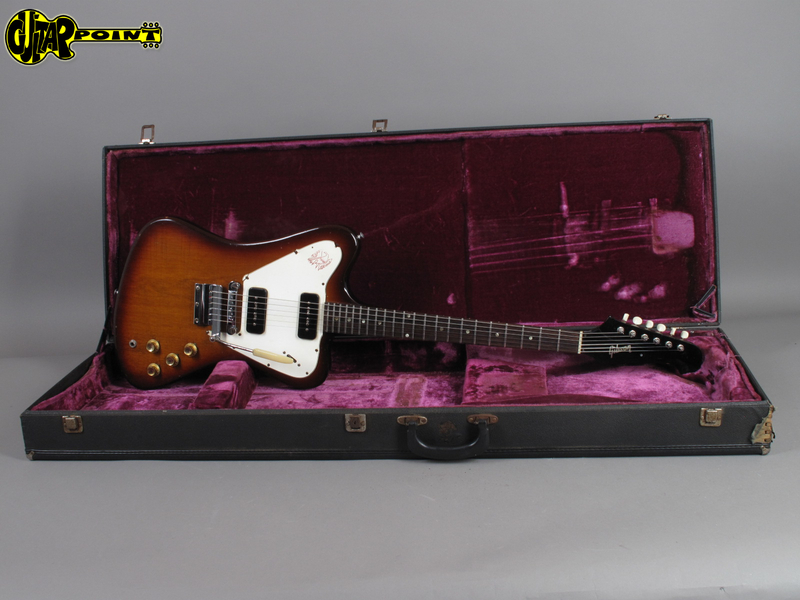 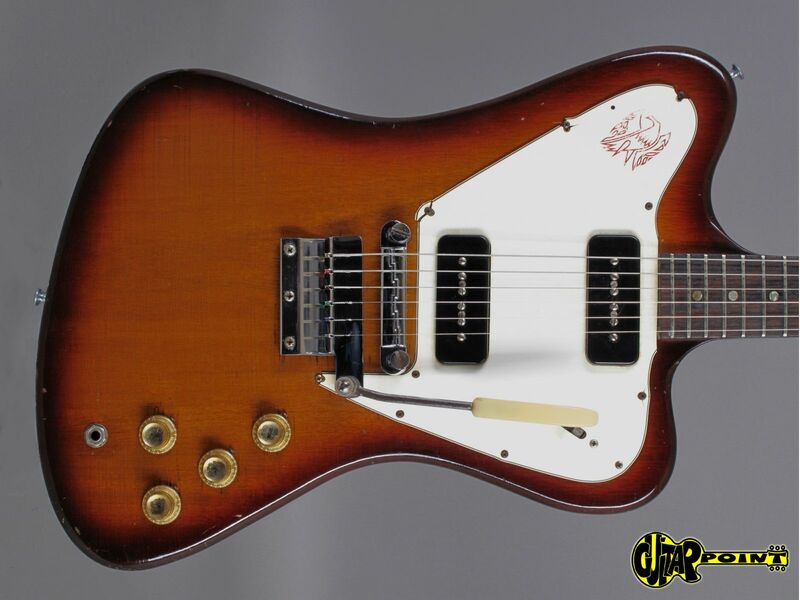 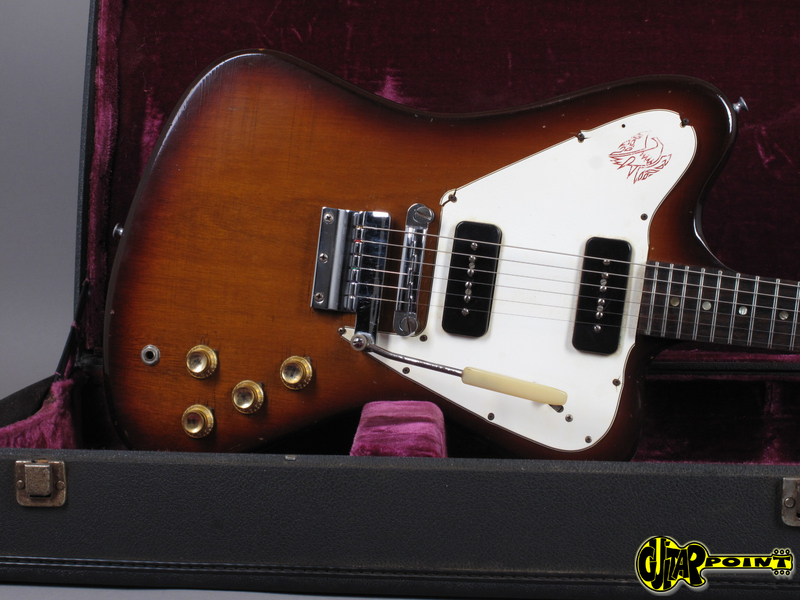 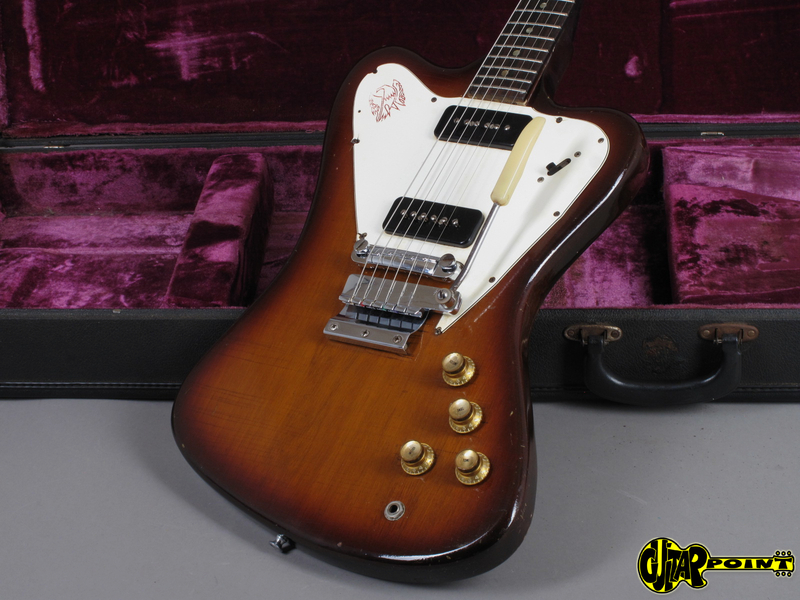 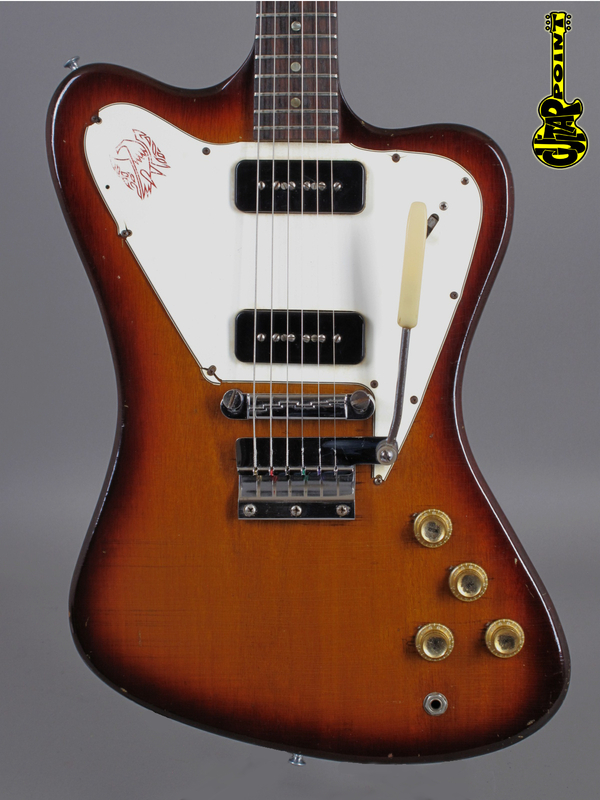 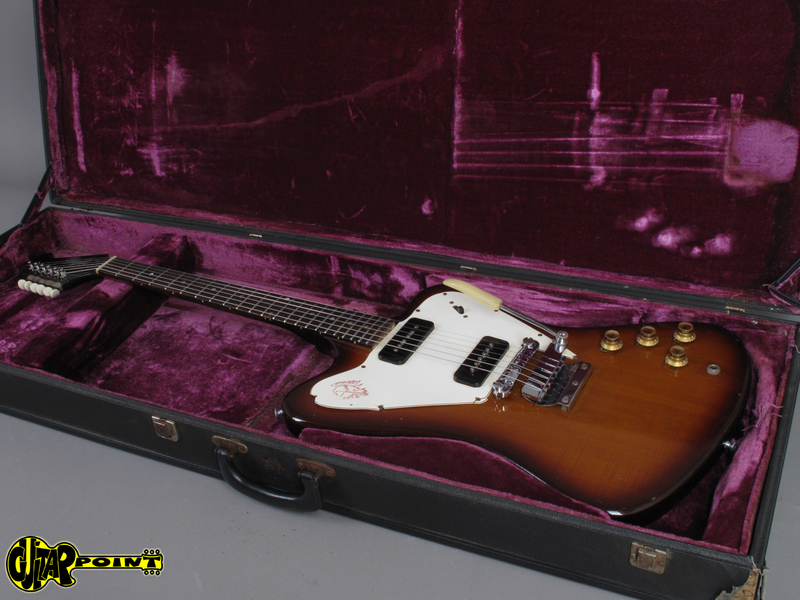 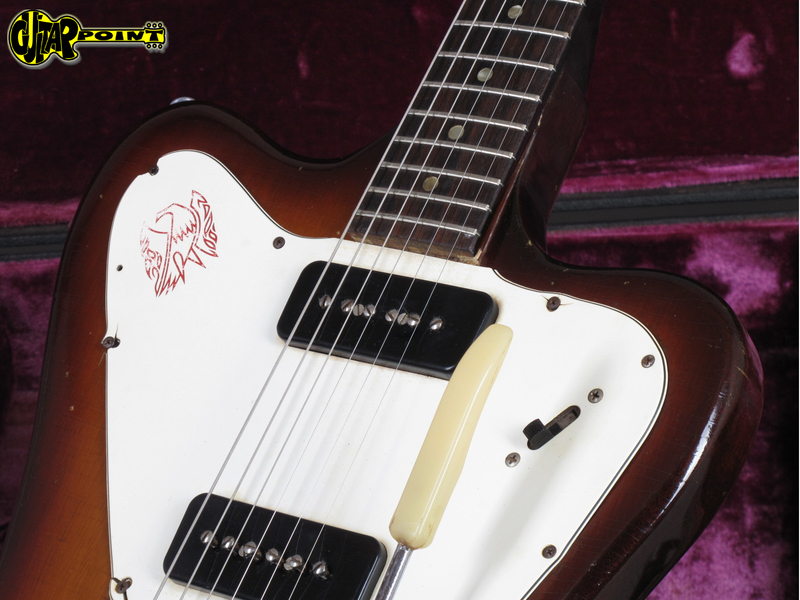 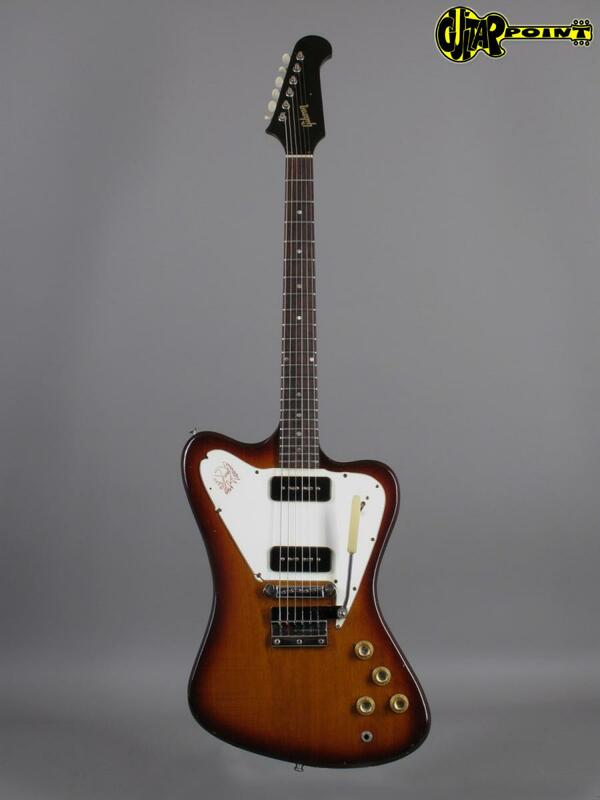 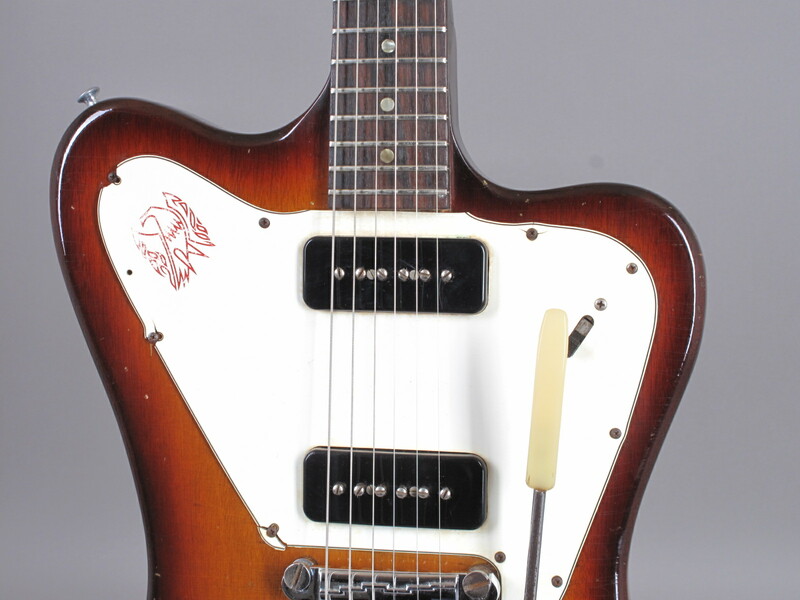 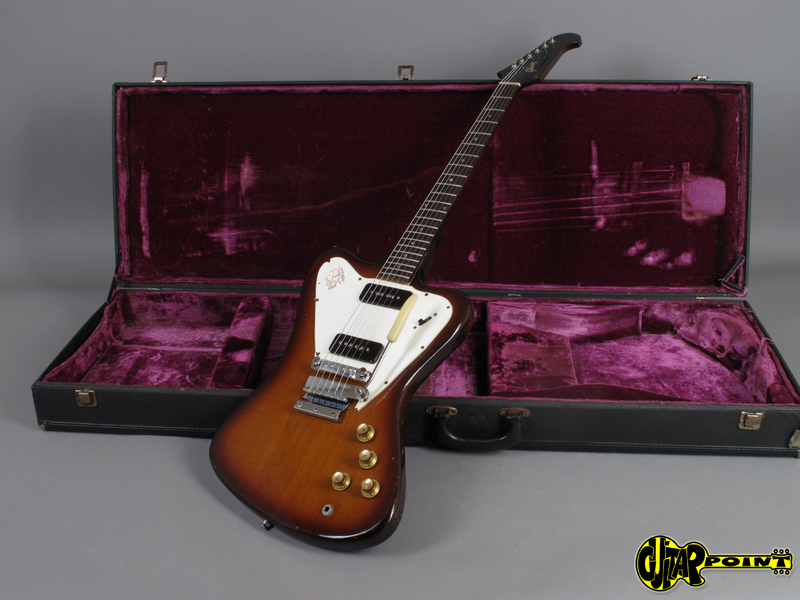 1965 Gibson Firebird I "non-reversed" in strong Sunburst finish. 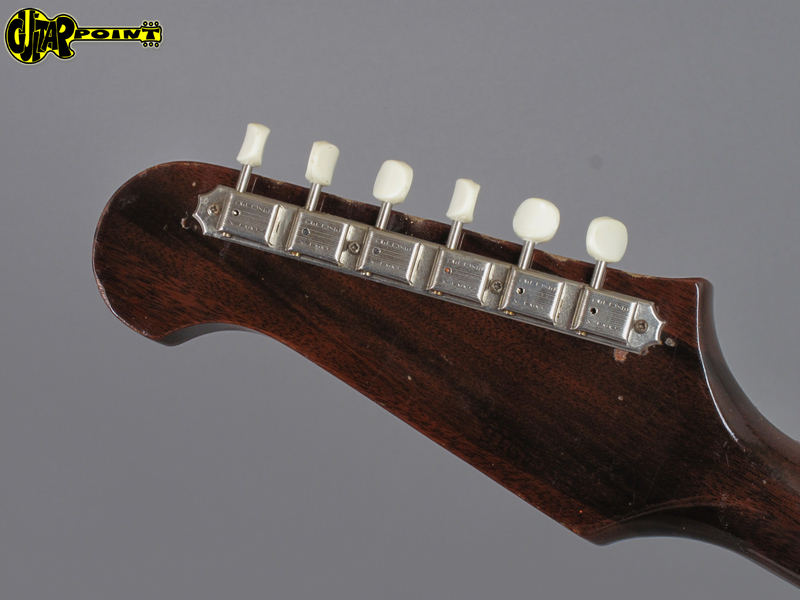 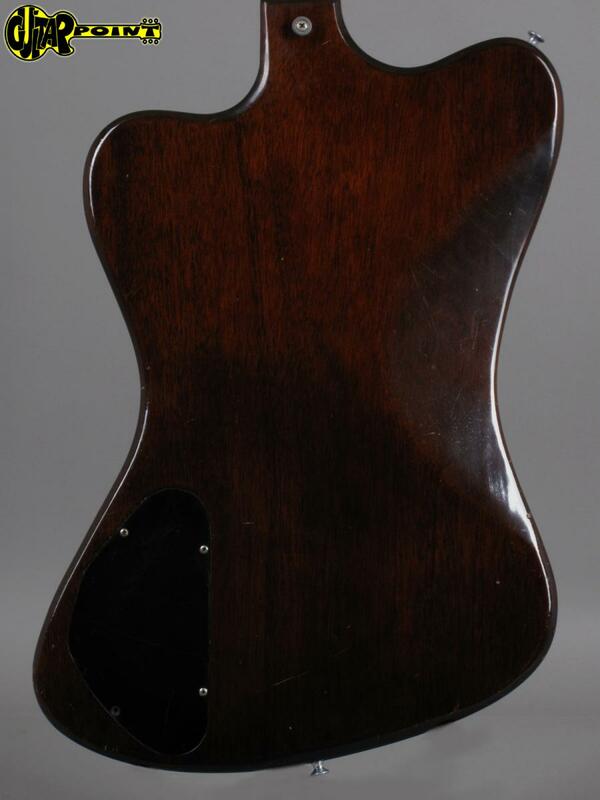 The guitar is all original and in great condition. 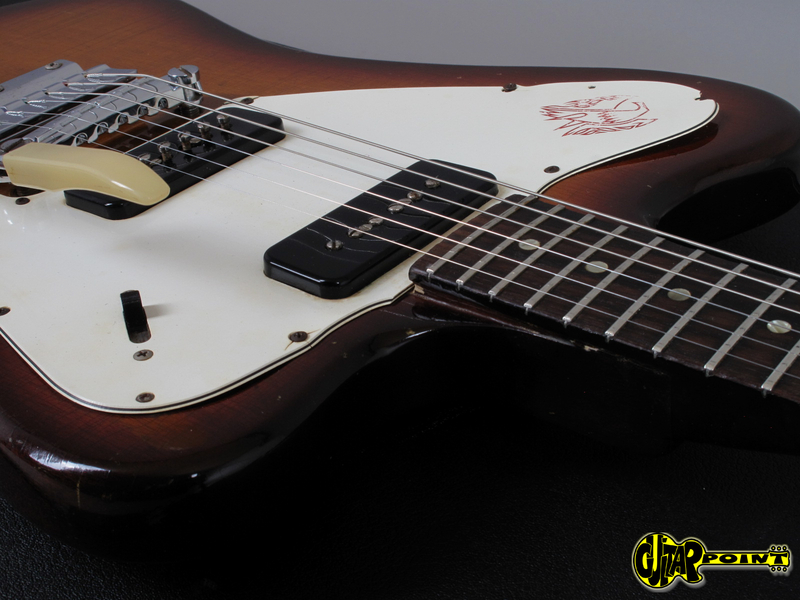 It's got minor play wear and some weather checking which gives it a pretty cool vintage vibe. 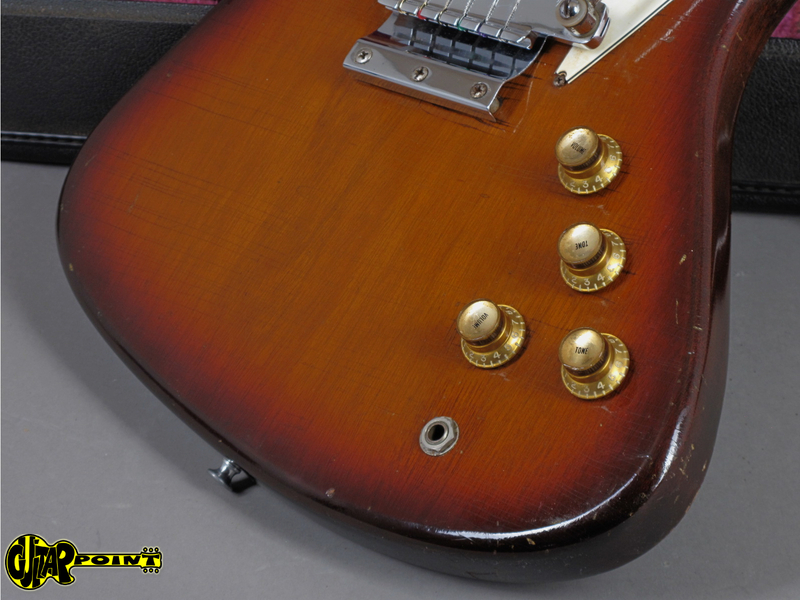 It's got a shrunk pickguard, which is a common problem for these years. 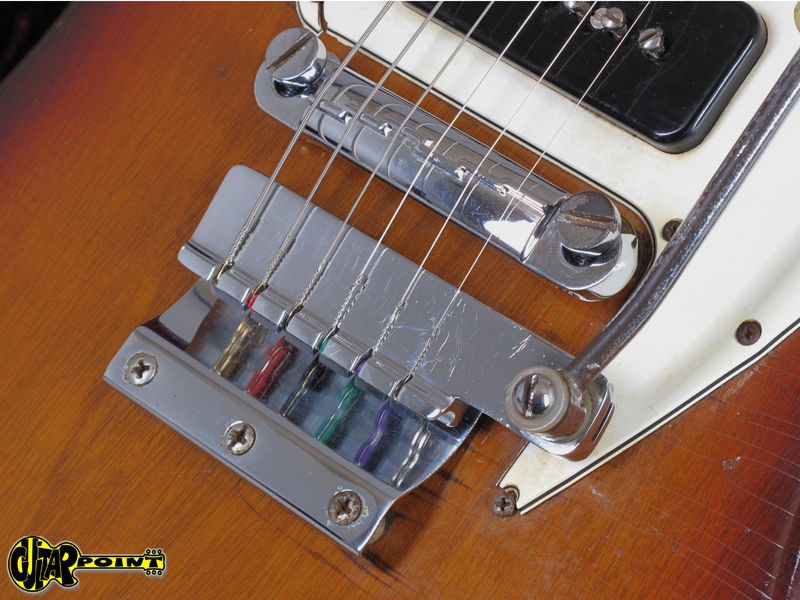 No parts have been changed, untouched solderjoints. 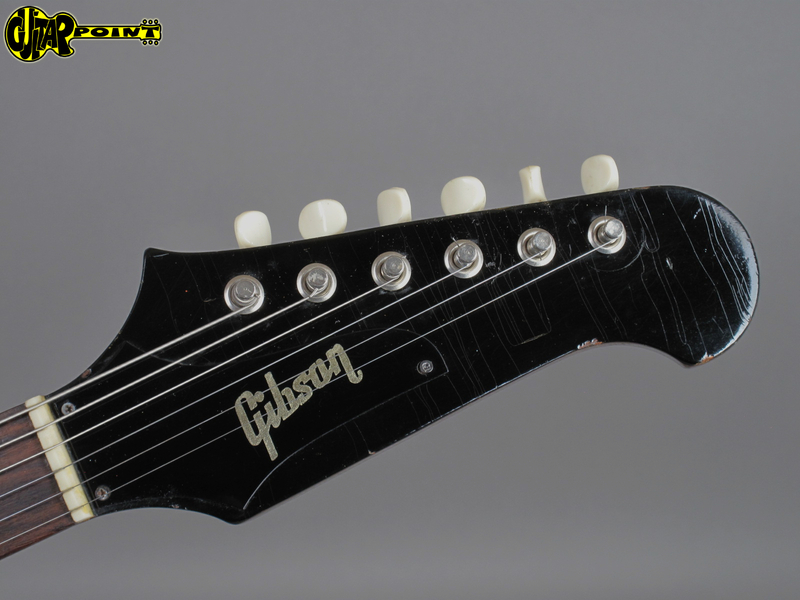 It's very comfortable to play because it's got a great neck angle and string action. 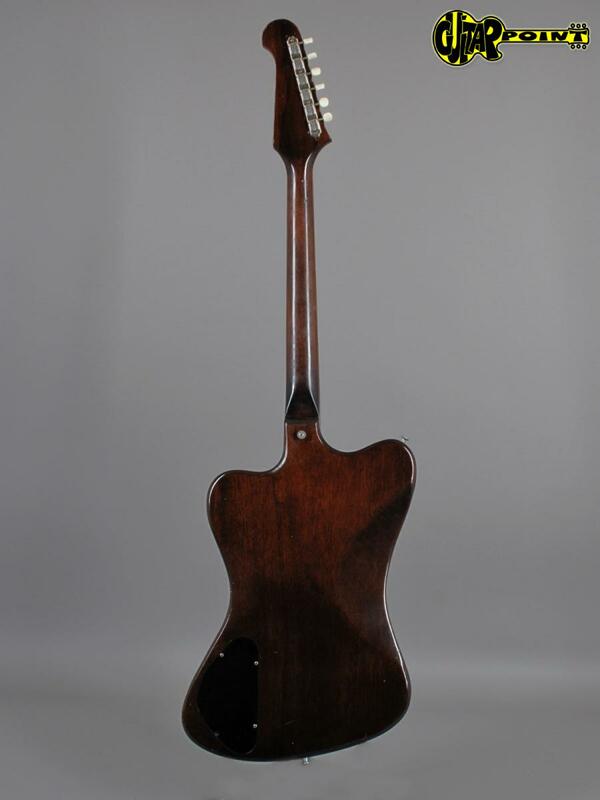 It's also very lightweight with only 3,17kg and sounds very resonant - it just vibrates! 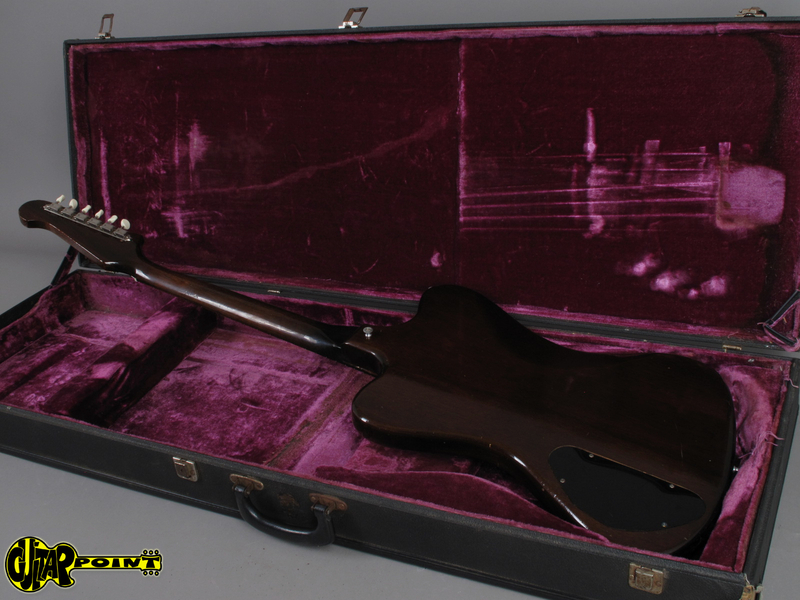 Comes in black square case with purple interior.